This mulch has been double shredded and is very fine. It is dark brown and very rich looking. Because it contains compost, it provides valuable nutrients to the plants and keeps them moist. 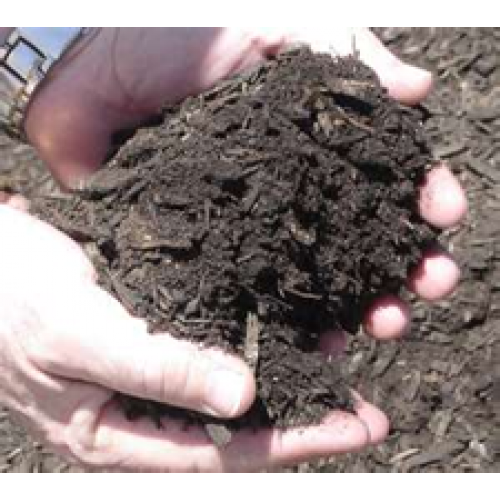 This mulch helps the environment by recylcing material that previously went to landfills. Around trees, shrubs, and beds. To improve bad soil in beds. An economical alternative to more expensive mulch. Go Green with this mulch!